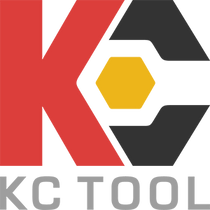 I think I've been bugging KC Tool to sell this brand since back when they only sold Knipex and Wiha. I've had these pliers for maybe 5 years. They are my go to combination. I mean, I generally go to grab the bigger ones; but I mistakingly always grab this size. I'm reviewing the ones I own, but the 6.5" available in the matte chrome finish are just as good. If you're a tradesperson that requires traditional designs, these aren't for you. For everyone else, you will love them. They are not as nicely finished as Knipex nor Gedore, but the design and the 3k handle....oweee....my favourite. I have indeed held many nails with the nail holder. I have indeed never really touched my fantastico side cutters because the cutters on the combination pliers last forever. I have indeed made use of the bolt/nut holding section. The head is shaped in such a way that they get into tighter areas, and often do half the work of my needle nose pliers. YMMV, of course. I just want to say, I've been a fan for a while.